With summer at hand and peace established in Swat, the provincial and federal governments, Pakistan Tourism Development Corporation (PTDC), Sarhad Tourism Corporation, local hotel/tourism industry and private tour operators should make joint concerted efforts to revive tourism in the region. To regain its erstwhile glory, tourism however needs some drastic measures and initiatives on part of all the stakeholders. In collaboration with the private sector, the government should immediately conduct a need assessment survey to ascertain the different steps and facilities needed for attracting tourists in potential areas. But, obviously, the government cannot do all the things on its own. Therefore, public-private ventures are also the call of the hour to boost the tourism industry. Revival of tourism is a prerequisite for eliminating extremism in the country as millions of people are jobless and thus indulge in such activities. A large chunk of the population is directly or indirectly dependent upon the sector. It, unfortunately, has suffered from the indifference of government and lack of sufficient involvement by the private sector. The Ski Gala event which took place this winter and last year’s peace festival organised by the Provincial Reconstruction, Rehabilitation and Settlement Authority (PaRRSA) in Swat had attracted many tourists to the picturesque valley and rekindled hopes for reviving the tourism sector. But it requires a strong commitment and increased funding on part of the government to build the tourism infrastructure and public and private sectors’ coordination to achieve the milestone. Khyber Pakhtunkhwa should hold such festivals each year and arrange other amusing programmes in Swat. And the festivals should be given sufficient coverage in print and electronic media to attract tourists from both in and out of the country. The middle class will have to participate in these campaigns, but the slump in businesses and decline in incomes coupled with security fears have been responsible for the people’s decreased desire to visit tourist resorts of late. This necessitates introducing certain incentives for tourists belonging to the middle and lower-middle classes. Pakistanis are great lovers of cricket. There is a beautiful ground near Kalam where a small-scale national cricket tournament can be organised. Hotels are there in plenty. 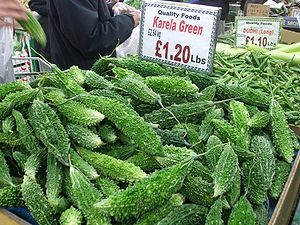 The appetising local fruit and vegetable as well as the famous mouth-watering Swat trout-fish would add to their pleasure. This would also send positive signals to the world about the people in Swat and Khyber Pakhtunkhwa. The government should repair and widen the roads damaged by floods in the area, construct new roads, construct walking treks at various locations and hotels. An international wildlife park at the world’s biggest plain Deodar forest at Kalam should be established. Gabinajabba near Kabal, which is covered by snow even in peak summer, still has no road to go there. 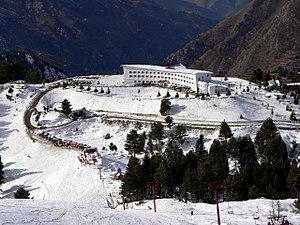 Hotel and the chairlift facilities in Malam Jabba Ski resort and other potential areas would have to be ensured. The government can develop a ski resort at Bishay Kalam where there is a natural miles long track. It should arrange a chairlift facility to go there from bazaar. Communication facilities should be improved. Early restoration of Swat airport and helicopter facility to travel to/from Swat and between different areas of Swat will be welcome. Special transport facilities with discount in transport fares to the area could also be arranged by making a special request to the private transport companies. There are 14 beautiful lakes in the valley such as Kondol Lake in Uthror Kalam. Several of them are unfortunately unknown and unattractive for tourists due to lack of roads and hotels. The government should not only rejuvenate the PTDC motels and announce relief for tourists in its transport, lodging and cuisine services but also ask the private hotel industry to support the initiative with subsidised services to visitors. But is the latter in a position to do so in the wake of huge losses caused by floods and militancy? “Apart from conducting several programmes for promotion of tourism like the peace tourism festival last year and Swat Peace Ski gala this year, we have also provided both in-kind and in-cash grants to 265 hotels amounting to millions of dollars with the help of USAID the FIRMS Project in Malakand to make them competitive and profitable,” Shakil Qadir Khan, the Director General of PaRRSA informed. But more such steps need to be taken which will enable the badly-affected local hoteliers to provide better and cheaper services. In a special package, the government, with the help of international donors and community, should immediately offer incentives to hotels, motels, restaurants and allied businesses. Besides, tourists’ information centres at several places must be established. Publication of literature in foreign languages, simple visa facilities like desks/counters for foreign tourists at airports will also greatly help revive tourism. Swat has over 400 Buddhist sites. The government can prepare a special package/programme for the people of Japan, Thailand, and Sri Lanka to visit these places. Swat, known as the Switzerland of Pakistan, is an ideal place for summer and winter tourism, adventure tourism, eco-tourism, culture/heritage tourism, spiritual tourism, sports tourism and commercial tourism. Lots of TV dramas are being shot in foreign countries. Why cannot these be filmed in local areas which can go a long way to make the world familiar with the beautiful landscape of the area? The government and private tour operators would do well to establish links between communities and enabling institutions, such as banks, line departments, foreign embassies and donor agencies to revive tourism in the region. Malik said there would be no restrictions on the tourists to visit any place in Swat. Security situation has indeed improved in the area but the tourists’ apprehensions regarding fool-proof security need to be removed and more facilities should be provided to them. To restore tourists’ confidence, the government should arrange army-supported tours to Swat. The ministries of foreign affairs, interior and Pakistani embassies abroad should jointly work for promotion of tourism with regional and friendly countries. The sector that fetched billions to Khyber Pakhtunkhwa from Swat alone has ceased to be a source of income anymore. It is estimated that Swat’s hotel industry has suffered losses of billions of rupees so far. The shrinkage of tourists has had an adverse impact on various tourism-dependent sectors like hotel, transport, cuisine, horticulture and handicrafts in the area rendering millions jobless.